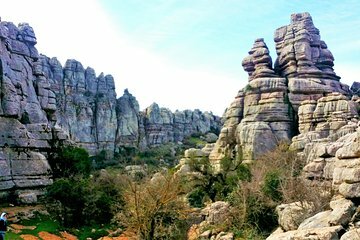 Discover the fascinating geologic history of El Torcal Nature Reserve on a guided, half-day hike. After pickup from your hotel in Marbella, Malaga or other Costa del Sol towns, learn about the unique landscape on the drive to the park. Enjoy several hours hiking among the dramatic karst limestone formations, considered among the most impressive in all of Europe. Your private guide can customize the pace and itinerary of the hike to suit the group’s abilities.